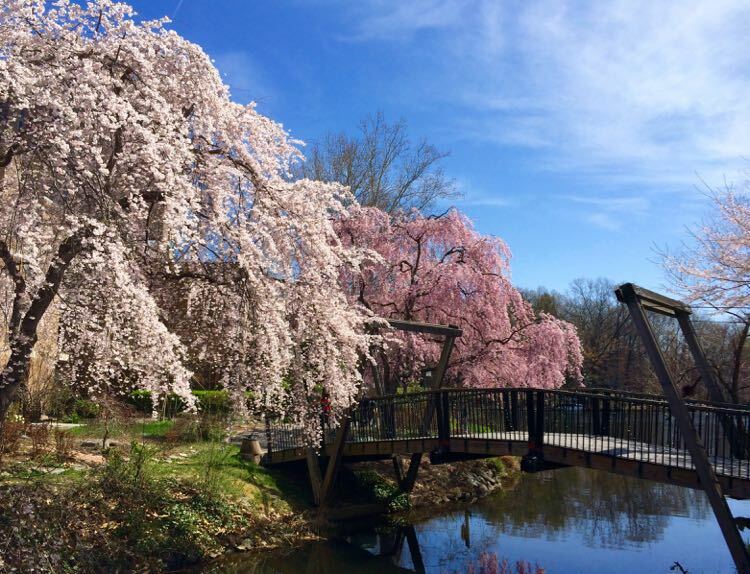 A Gettysburg getaway brings Civil War history to life, and offers beautiful nature and pleasant diversions that make an ideal road trip from Northern Virginia and the Washington DC metro region. 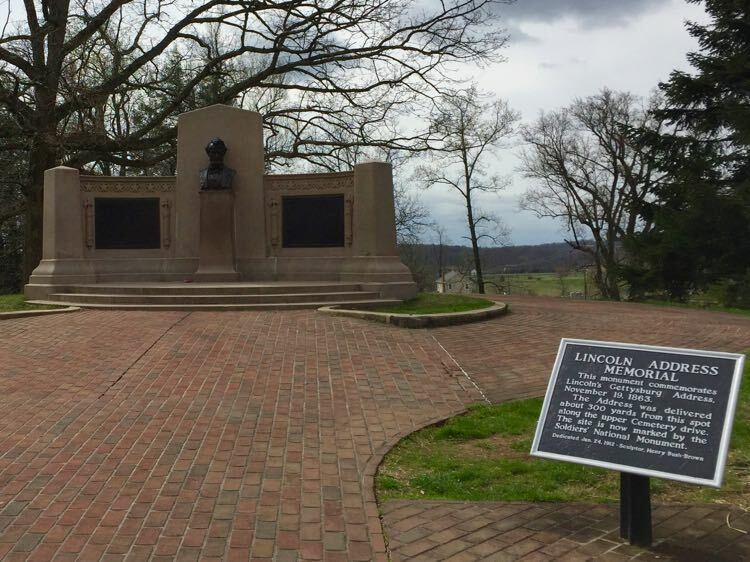 The town preserves the site of the bloodiest battle ever fought on US soil, both in Gettysburg National Military Park and in town. 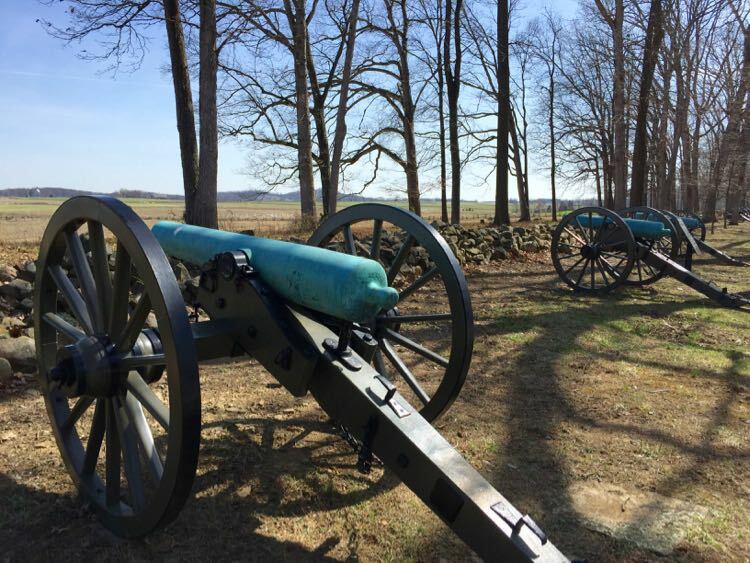 While it’s possible to visit as a day-trip, we recommend an overnight (or longer) to allow time to explore beyond the battlefield and enjoy the historic town of Gettysburg, Pennsylvania. Over three days in July, the small town of Gettysburg, Pennsylvania was overrun by 170,000 Union and Confederate soldiers, and intense fighting would mark the bloodiest battle of the US Civil War. Once the fighting stopped, over 51,000 dead, wounded, and missing soldiers overwhelmed the town. Homes and businesses became makeshift hospitals, and the townspeople were left with the task of burying soldiers, horses, and mules in hastily dug, shallow graves. 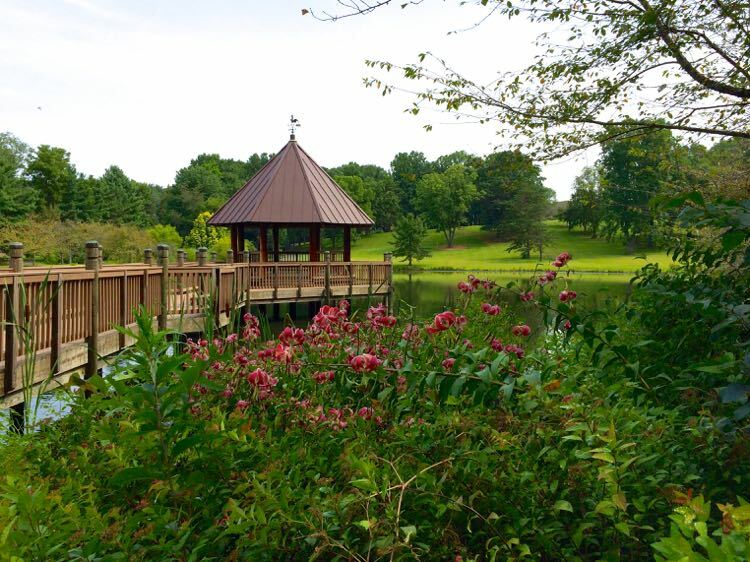 Today the history of the battle, the town, and the aftermath, are all preserved and made accessible to visitors through multiple parks and museums. 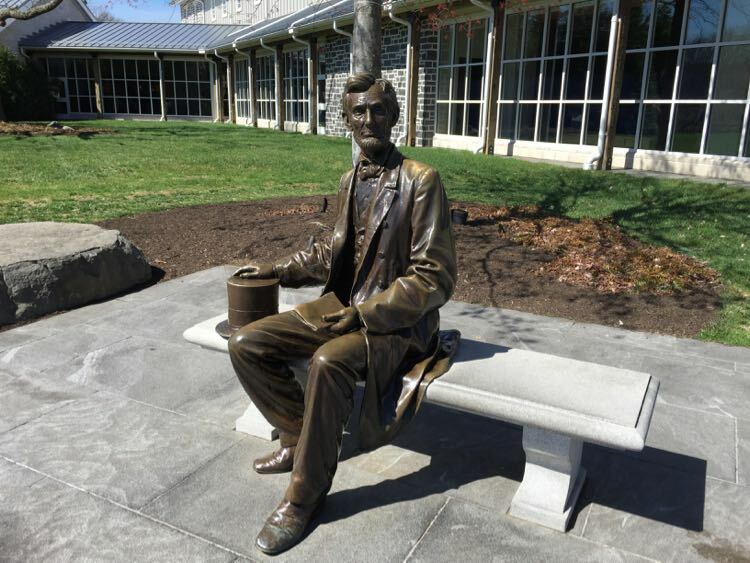 Our Gettysburg getaway itinerary focuses on Civil War history and some modern day diversions, but we plan a return trip to explore more of scenic Adams County and other sites in town. Most visitors to Gettysburg begin their trip at the Gettysburg National Military Park Visitor Center. It’s a great first stop to learn about the battle and get oriented to what you’ll see when you explore the battlefield. 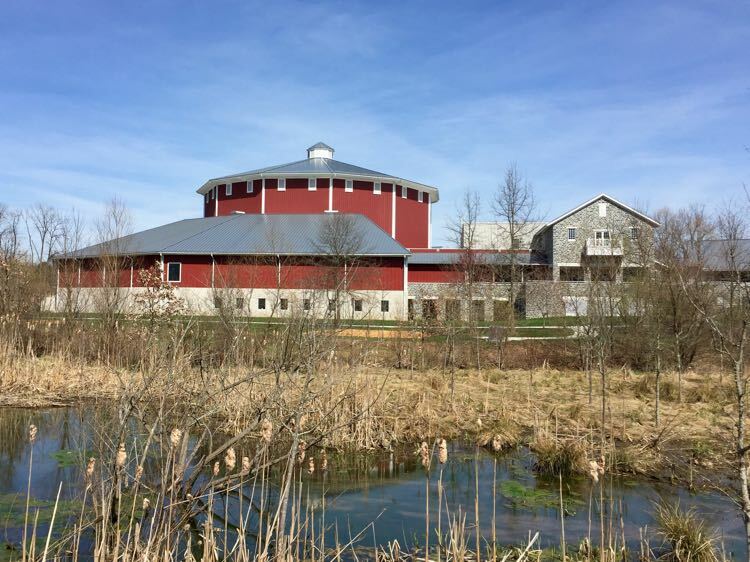 The Visitor Center, which opened in 2008, was carefully designed to look like a period farm with round barn, and sited to be screened from battlefield views. While access to the Visitor Center and the battlefield is free, you’ll need a ticket for the film, Cyclorama and museum. The 20-minute film, produced by the History Channel and narrated by Morgan Freeman, is an excellent overview of the battle and it’s significance in the ongoing Civil War. Immediately following the film, visitors experience a narrated presentation in the historic Cyclorama. 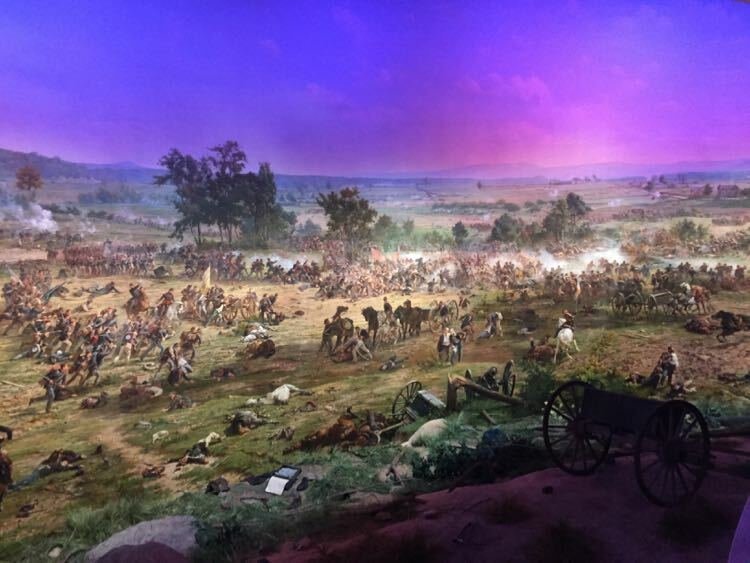 The Gettysburg Cyclorama features the largest oil painting in North America—a 42′ by 370′ circular depiction of the famous Confederate attack on the third day of fighting, commonly known as Pickett’s Charge. Lights illuminate portions of the giant painting as a narrator describes the intense fighting, which left 5,000 Confederate dead and wounded in only one hour. 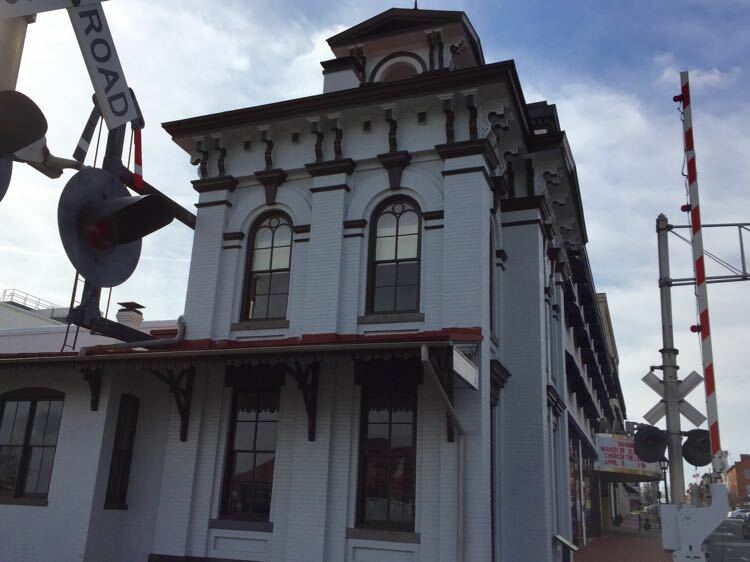 The Gettysburg Museum of the Civil War includes several galleries which explain the broader Civil War and the personalities who played important roles throughout the conflict. 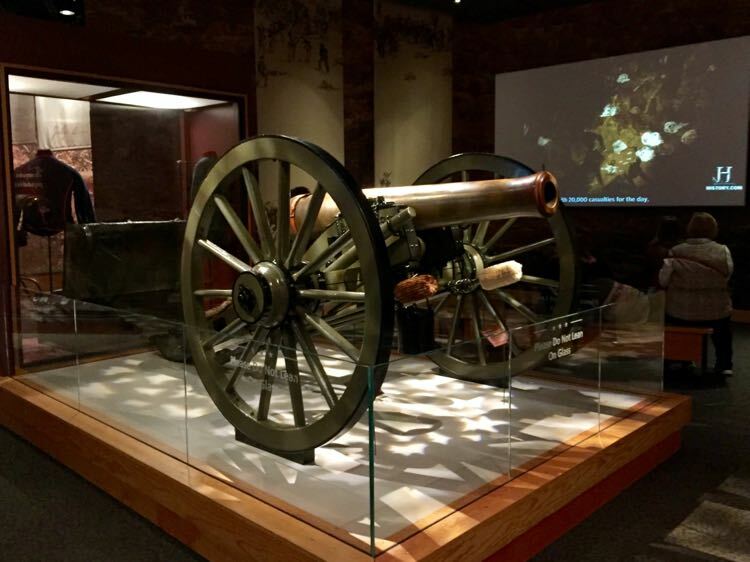 Interactive exhibits explain the life of soldiers, officers, and civilians, and there are numerous displays of Civil War relics and stories behind the artifacts. A combined ticket for the film, Cyclorama, and museum is $12.95 for adults, $11.95 for seniors, and $8.95 for youth; active duty US military and children 6 and under are free. We recommend purchasing a ticket for anyone with an interest in understanding both the Battle of Gettysburg and the broader US Civil War. The detailed displays in the museum can be overwhelming, but there are several videos that make the material more accessible. 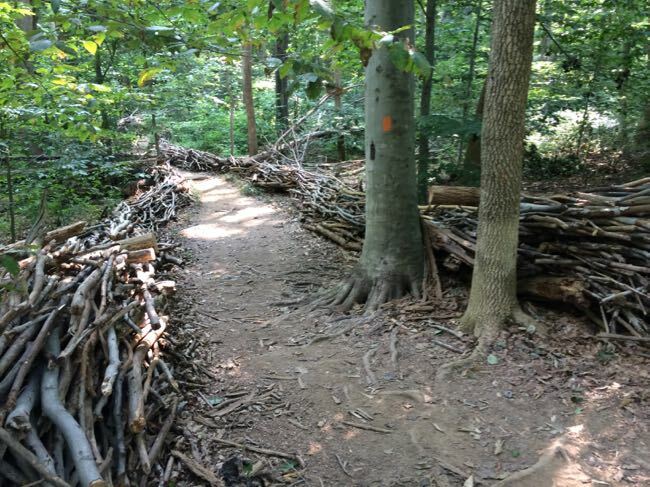 While the museum makes a good effort to offer engaging exhibits, younger children or bored teens may want to skip the ticket and head out to the battlefield. The Gettysburg NMP Visitor Center is the hub for many tour options for your battlefield visit. You can pick up a map and head out on a self-driving tour of all the major battle sites. The free Self-guiding Auto Tour map is well marked, and there are excellent informational signs at every major site. Bus tours are available for those who prefer a guided drive. Your licensed Civil War guide will provide excellent narration over convenient headsets as your bus does the navigating. Bus tour tickets are $30 for ages 13 and up, $18 for ages 6 to 12. If you have two or more visitors in your party, we highly recommend hiring one of the licensed guides who will join you in your car to provide a more personal tour. Guides are only $65 for a two-hour tour with up to 6 people in your vehicle, so it’s only a little more than two tour bus tickets. Our guide, Jim, pointed out memorials and shared extra details about regiments from each of our home states. 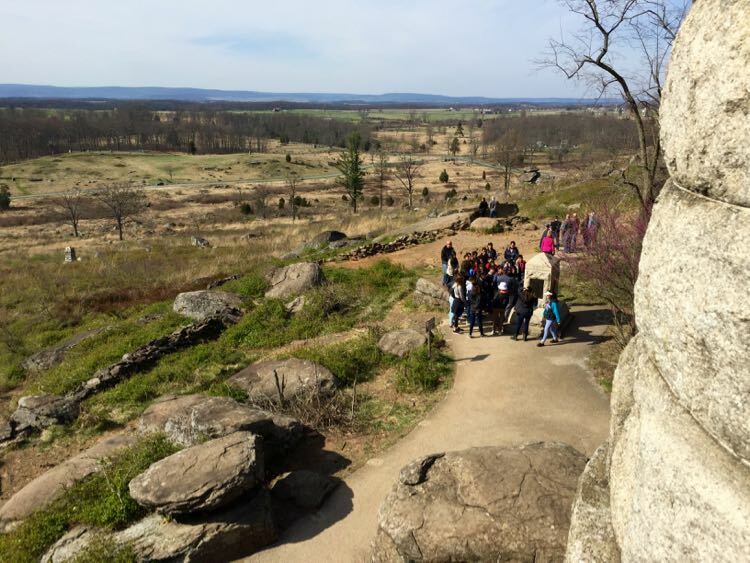 Guides bring a deeper level of understanding and offer interesting details at popular stops like Little Round Top. If we had arranged it in advance, we could even have asked for a tour focusing on a particular regiment that our ancestors fought in. Battlefield tours are also available by bicycle, Segway, horseback, and on foot. Imagine yourself as one of the 2400 residents of Gettysburg Pennsylvania in late June, 1863, nervously watching as a small band of Confederate soldiers passes through town. Just days later, on the morning of July 1st, the Battle of Gettysburg begins, changing your small town forever. 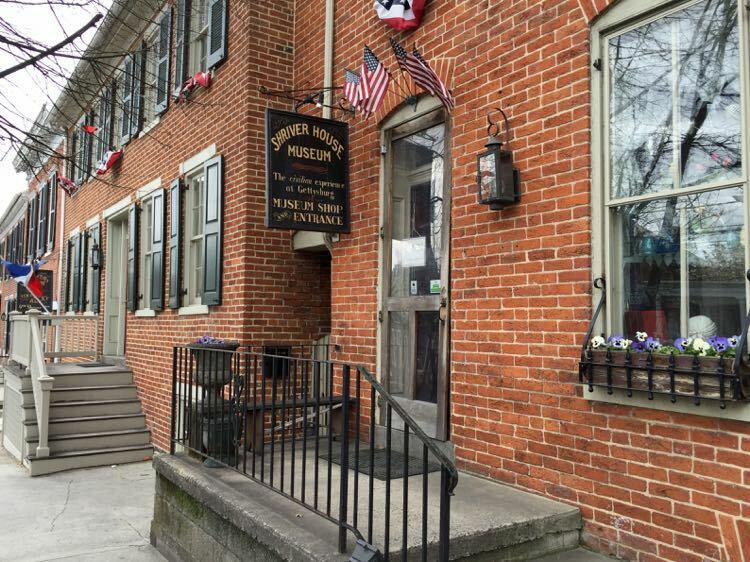 The privately-owned Shriver House Museum tells the story of the battle from the perspective of the Shriver family, who owned a home, saloon, and bowling alley in town. The house has been meticulously restored to it’s condition at the time of the battle, when at least two Confederate sharpshooters died in the attic, and post-battle surgeries were performed in the basement. Docents in period dress offer guided tours through the house daily ($8.95 adults; $6.95 ages 7 to 12), and special events offer a reenactment of the Confederates occupying the house (July) and candlelight Christmas tours (late November and December). Four floors of interactive displays at the Seminary Ridge Museum tell the story of the building’s use during the battle, as an observation outpost for Union General John Buford on the first day of fighting, and later as a hospital for the overwhelming number of wounded soldiers. The third floor exhibits tell a particularly powerful and gruesome tale of the men who had been horribly wounded, and the surgeons and nurses working valiantly to save them. 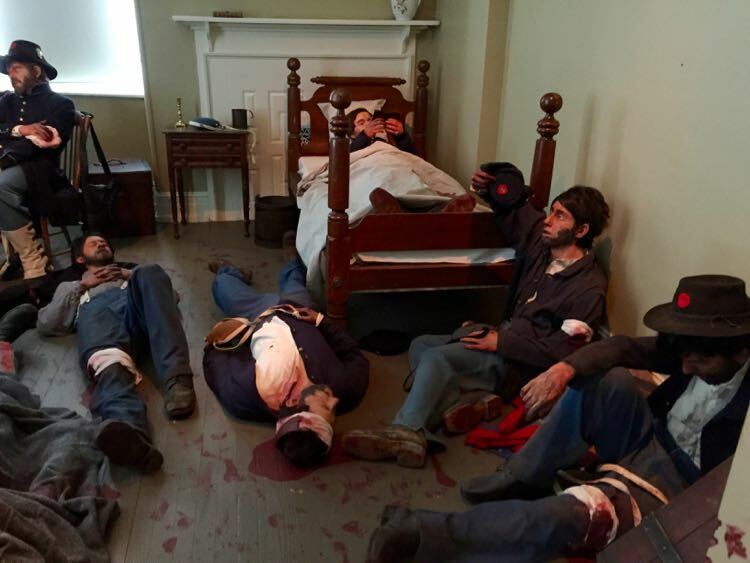 Fans of PBS’s Mercy Street will learn new details about the challenges and triumphs of Civil War-time hospitals. Admission to the museum is $9 for 13 and older; $7 for youth and seniors, and you can add an optional cupola tour for an additional fee. Just months after the battle’s end, land was purchased to create a burial place for the Union casualties, and more than 3,500 dead were reinterred in the newly created Gettysburg National Cemetery. On November 19, 1863, the new cemetery was dedicated, and President Abraham Lincoln delivered his now famous Gettysburg Address. While a few Confederate soldiers are buried in the Gettysburg cemetery, 3,200 of the dead were moved to cemeteries in the south including the Hollywood Cemetery in Richmond, Virginia. 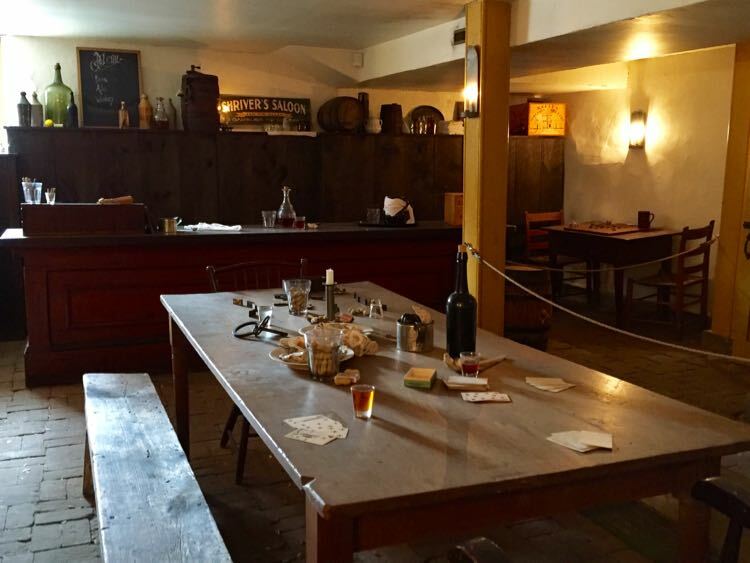 After a day immersed in Civil War sites, you can shift to Colonial history with a delicious dinner at the Dobbin House Tavern. Porridge of the Day: Freshly homemade soup prepared by carefully boiling over coals with no smoke or dirt therein from stirring the fire. Served up steaming hot and heartily herb’d in a pipkin. We also had a perfectly cooked Broiled Filet Mignon, a hearty Pork Tenderloin, and rich pecan pie and chocolate cake for dessert. Next time we’ll try the seafood, which also comes highly recommended. Home base for our Gettysburg getaway was a luxurious suite at the Inn at Lincoln Square. 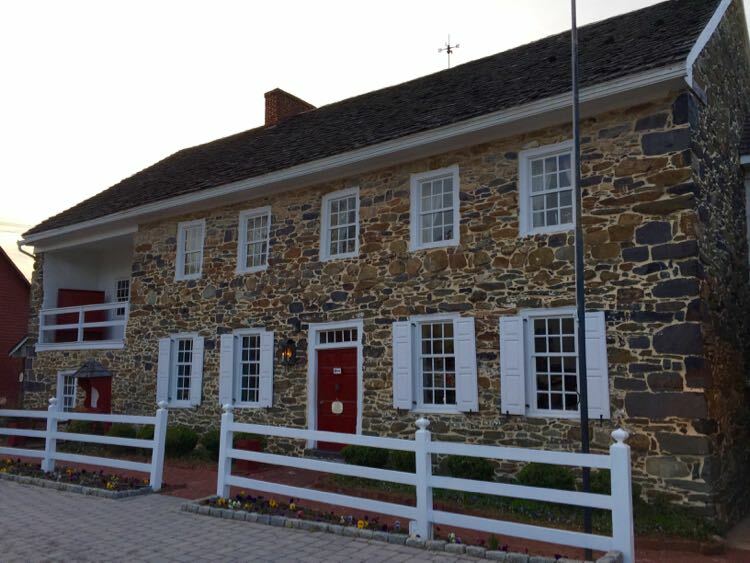 The Inn is in a perfect location for exploring town on foot; right next to the David Wills House, where Abraham Lincoln stayed the night before he delivered the Gettysburg Address. 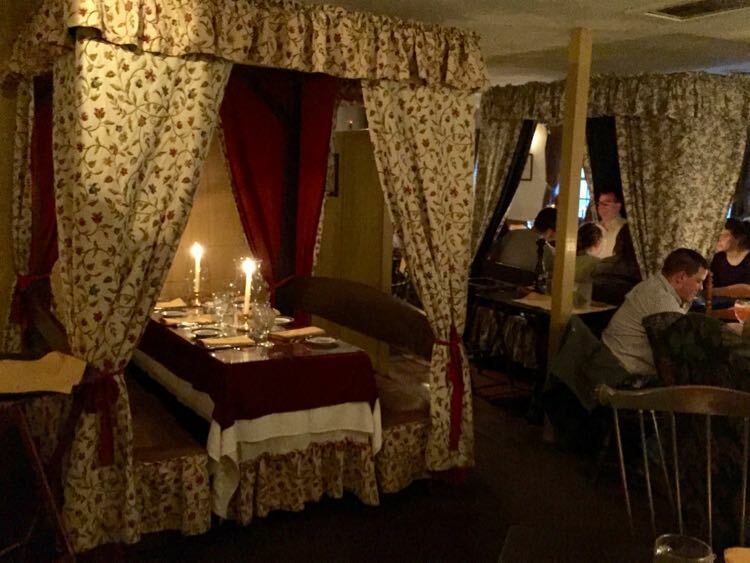 The Inn offers three suites with sitting room, full kitchen, and bedroom with comfy four-poster bed. Two townhouses are also available, each accommodating 6 guests—a perfect option for families or groups. Another bonus of the Inn at Lincoln Square is a reserved, free parking space just outside the Inn’s courtyard. 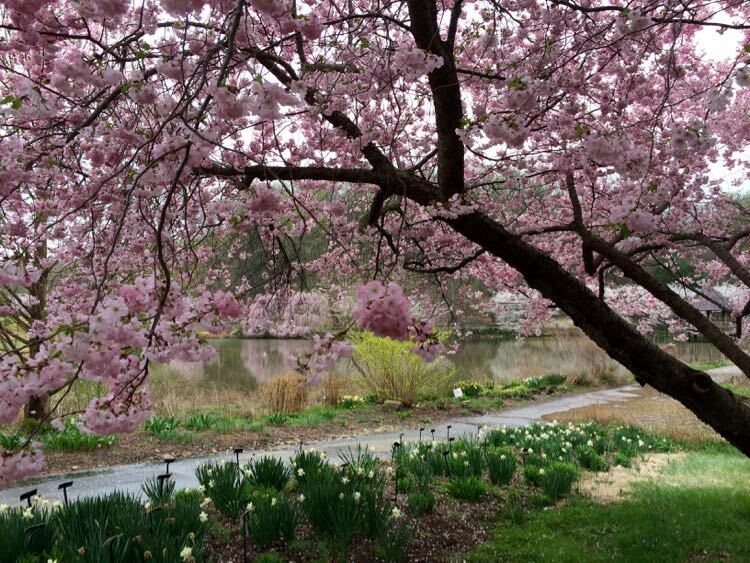 The area around Lincoln Square is fun for walking and exploring. Down Carlisle Street you can visit the historic train station where Lincoln arrived the night before his speech. Next door, the Majestic Theater offers live acts and classic films in an historic space. 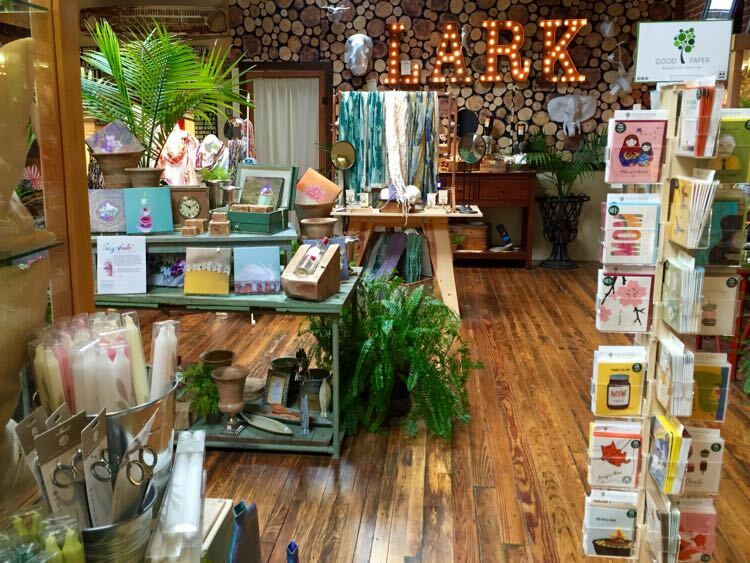 Shop for crafts at Gallery 30 on Racehorse Alley, or find quirky and elegant gifts at Lark on the square. Be sure to sample some of the local cider at the Hauser Estate tasting room or Reid’s Orchard & Winery. 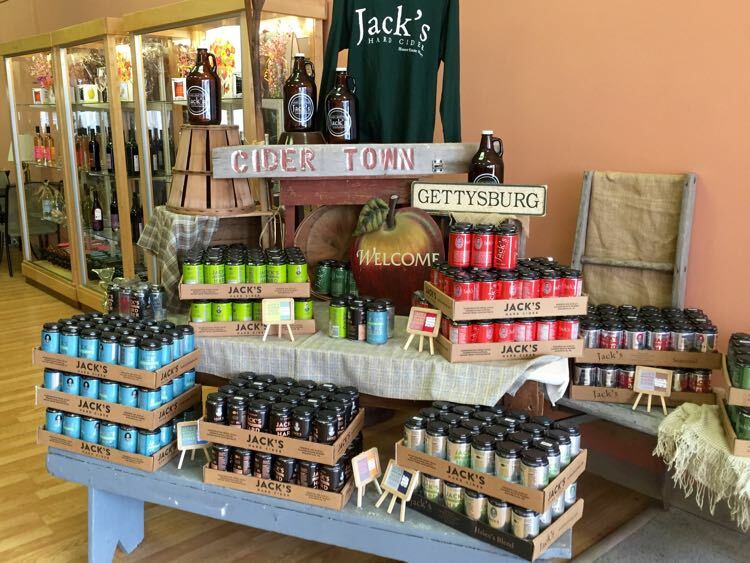 We loved the Jack’s Hard Cider at Hauser, and we bought a mix-and-match six-pack of Peach, Pear, and Fireside ciders to take home. 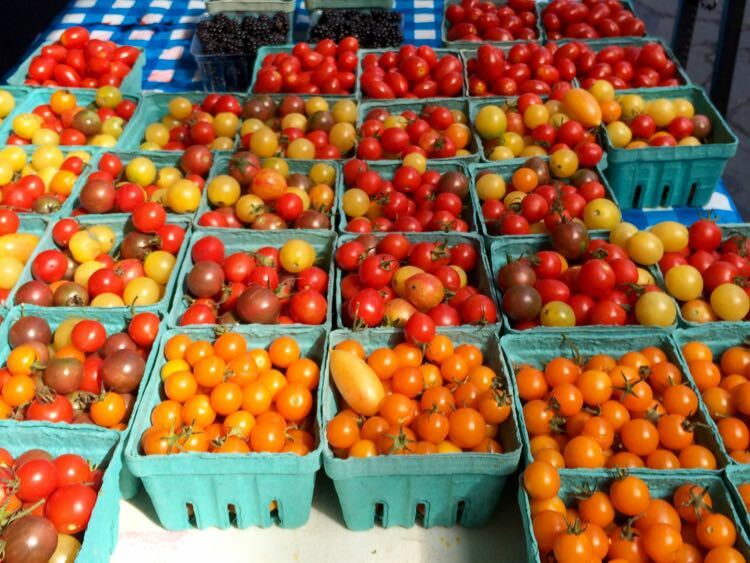 One Lincoln Square, right across from the Inn, is a good stop for breakfast or lunch. Closer to the battlefield, we enjoyed a yummy burger and sandwich at Gettysburg Eddies, named after baseball Hall-of-Famer Eddie Plank. The Pub & Restaurant and Garryowen Irish Pub are both good options if you want to relax with a pint. If you’re visiting Gettysburg from Washington DC or eastern Fairfax County, maps are going to send you up the beltway and 270 to Fredericksburg, where you’ll pick up route 15 north. If you have extra time, we recommend an alternate route through Loudoun County on the Dulles Greenway, picking up route 15 in Leesburg. 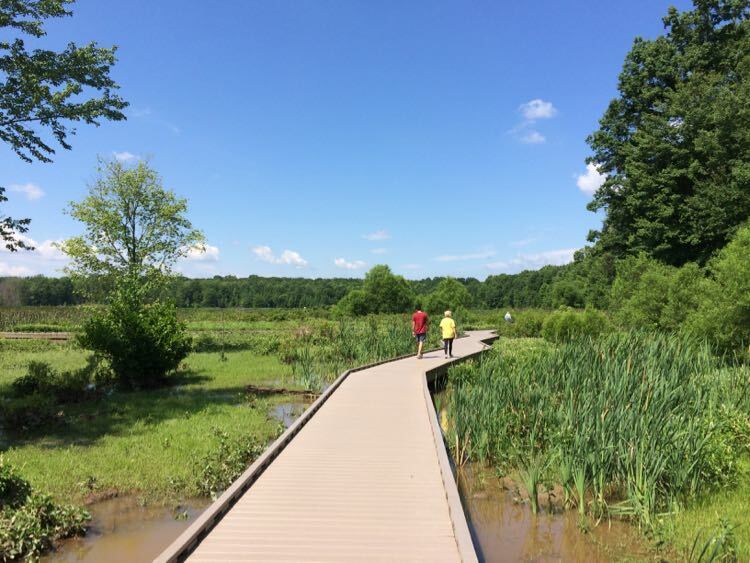 That’s the best route if you’re starting on the western side of Northern Virginia, and it’s a prettier drive than the beltway. 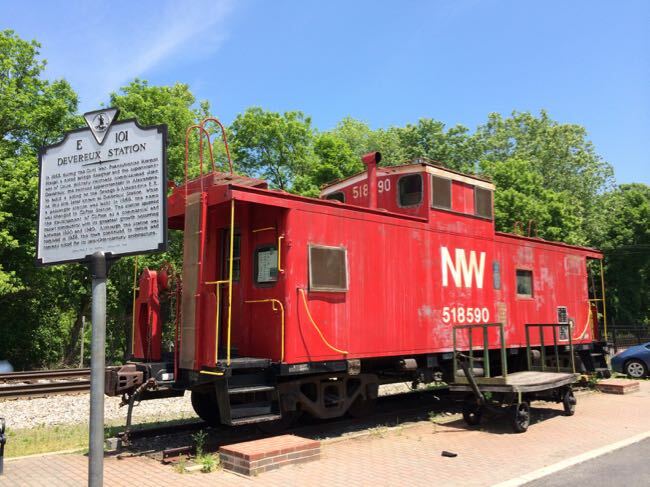 Route 15 will also get you in the historic mood because you’ll be traveling on a portion of The Journey Through Hallowed Ground, a National Scenic Byway. 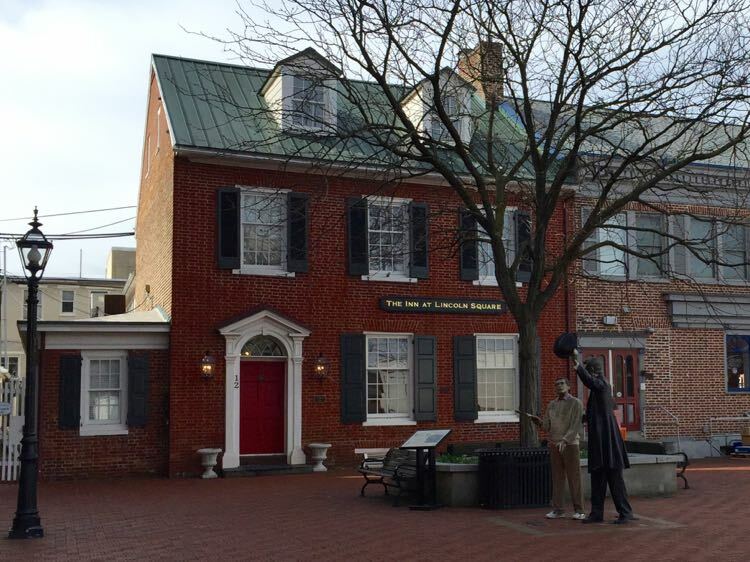 A Gettysburg getaway is a good option year-round, but the historic sites and town will be busy in April and crowded with school groups in May. Extended summer hours, when the battlefield stays open until 10:00 pm, are a good option if you don’t mind the warm days. 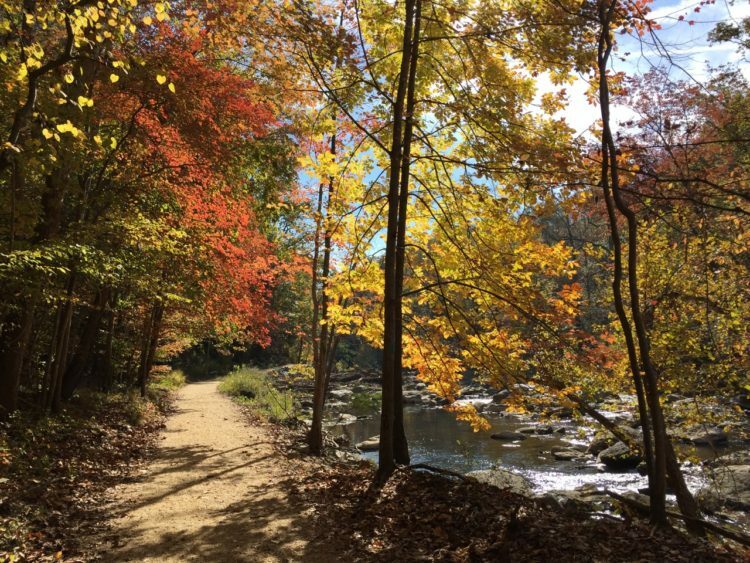 Fall foliage makes September and October especially beautiful, and winter can be chilly but less crowded. The Destination Gettysburg website is an excellent resource for planning your visit. 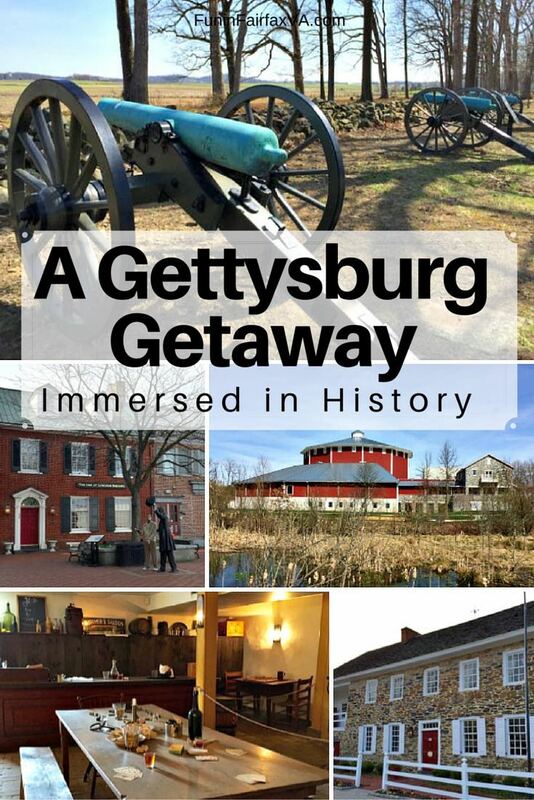 Are you planning a Gettysburg getaway this year? Destination Gettysburg hosted us on our visit to Gettysburg, Pennsylvania. 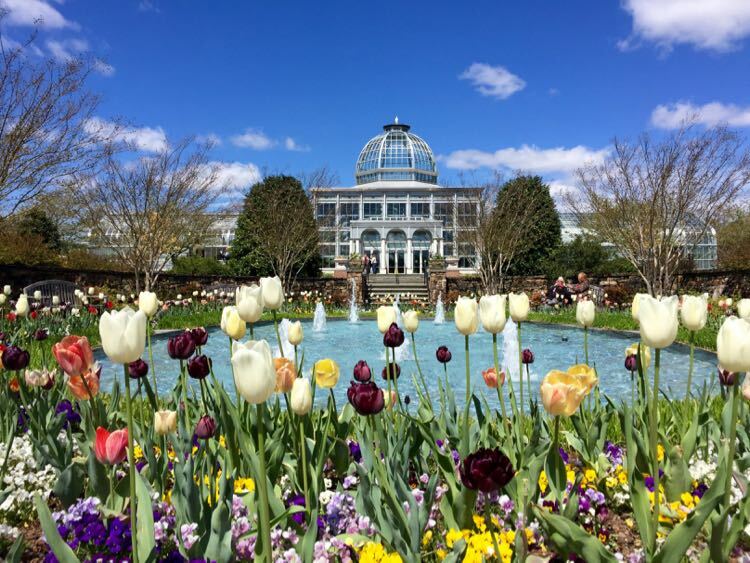 Follow Fun in Fairfax VA on Facebook, Twitter, Pinterest, and Instagram for more places to visit and things to do in Northern Virginia and surrounding areas. 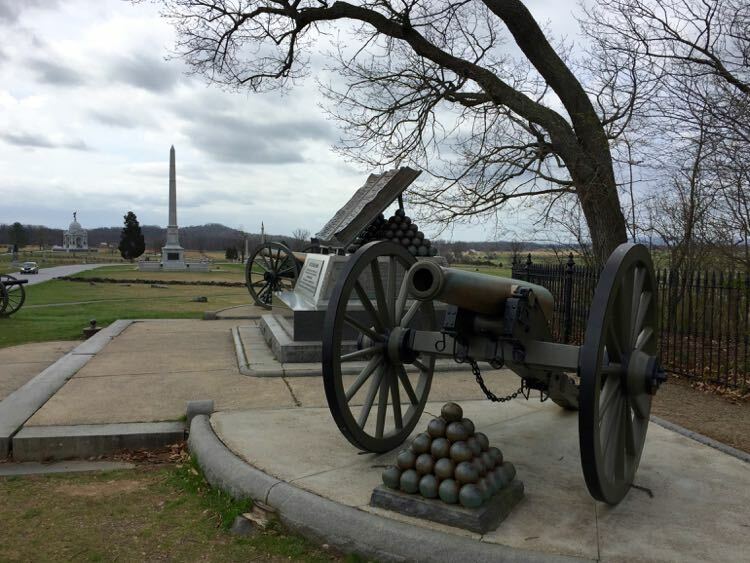 Our visit to Gettysburg was one of the most meaningful stops on a long road trip more than several years ago, and everything you mention here is spot on. 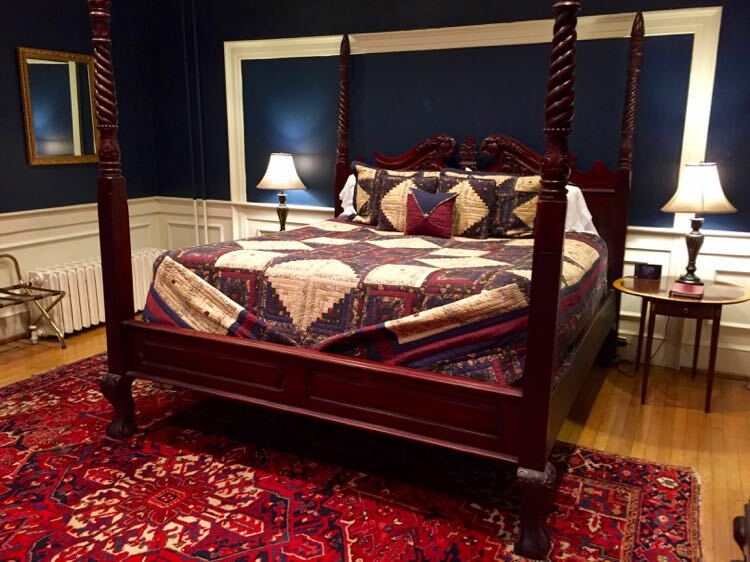 We especially remember visiting the house where Lincoln slept the night before the Address. Supposedly the desk in his room is where he polished it up. The atmosphere in that house had such palpable sadness. Right around the corner is a little workingman’s pub we liked. Thanks for bringing the memories back. It’s a superb destination. Thanks very much for your comment Betsy. It’s an important part of our history that everyone should understand; both heartbreaking and inspiring. Some of the links in articles may be affiliate links where we may receive a small commission at no additional cost to you. We only link to products/services we recommend. Enter your email address to subscribe to Fun in Fairfax VA and have the latest fun delivered to your virtual doorstep. Your information will NOT be shared or used for any other purpose. Julie and Charles McCool are long-time Virginia residents, avid local explorers, and parents of twins. We are committed to finding fun wherever we travel, and sharing it with our readers. 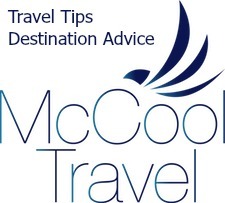 We also share travel tips and destination advice at McCoolTravel.com. Fun in Fairfax VA is a participant in the Amazon Services LLC Associates Program, an affiliate advertising program designed to provide a means for sites to earn advertising fees by advertising and linking to Amazon.com. Charles and Julie McCool are avid travelers, long-time Northern Virginia residents, and parents of twins. Visit Charles blog, McCoolTravel.com, to discover cool, fun, and happy destinations, plus tips to save time, money, and stress on every trip. Read more and work with the McCools. Fun in Fairfax VA © 2019. All Rights Reserved.